Karen is the Significant Other Program Director of TransCentralPA. She is married to Jennifer (Jen) who transitioned in 2013. Karen and Jen have been married for 34 years and have a daughter (26) and a son (30), daughter-in-law, and granddaughter (21 months). 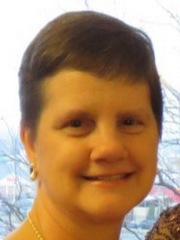 Karen is a Preschool Teacher’s Aide and is a very active member at her Lutheran ELCA church. Karen is available throughout the conference, in group sessions and individual meetings as needed. She can be reached after the conference via email at karen_sotcpa@yahoo.com.